My final afternoon tea of 2018 took place at Cafe Rouge. 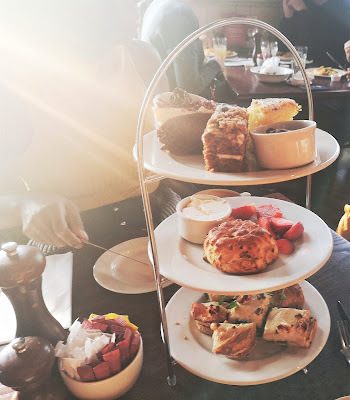 Afternoon tea at cafe Rouge is a very casual affair. The sandwich selection is not typical of a traditional English afternoon tea. 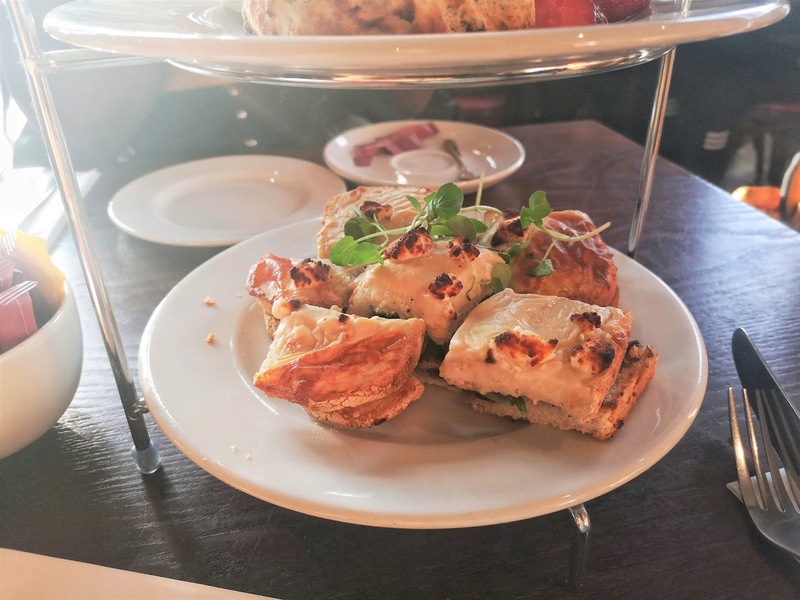 Cafe Rouge is a restaurant that serves French cuisine so the afternoon tea had a slight Parisian twist. The tea selection is basic with English breakfast. Earl grey. Mint. Camomile or rooibos tea to choose from. If you don't fancy tea you can choose a coffee or hot chocolate. We chose a mocha which tasted like a regular coffee. My guess is that the staff got our hot drink order wrong. Our hot drink arrived well before our food. Hot drinks were not unlimited. So we were a little parched half way through our cakes. Service wasn't good if I'm honest. Thankfully though, the croques were delicious. Croques are toasties. Or toasted sandwiches. There is only one vegetarian option on the afternoon tea menu. I'm glad we enjoyed the taste of the vegetarian crouques. As we're vegetarian. 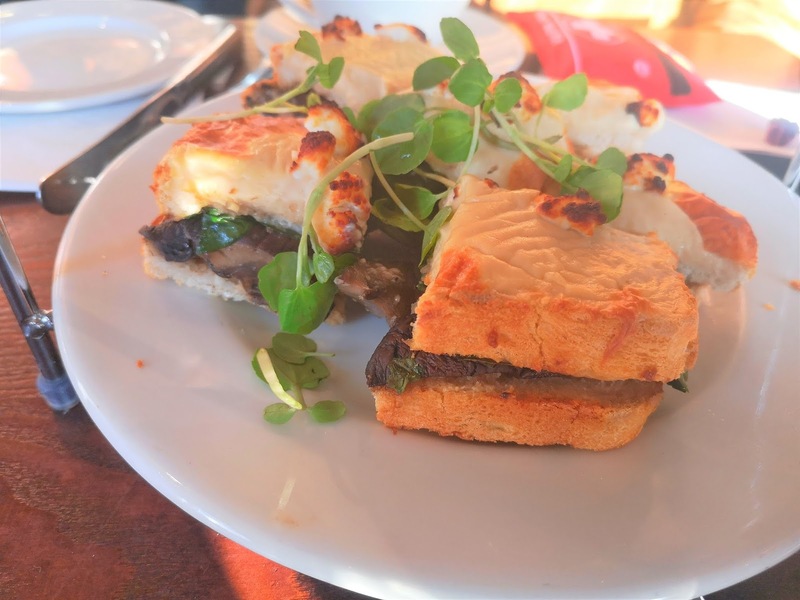 The vegetarian croque at Cafe Rouge contains portobello mushrooms. Baby spinach. Goats cheese and truffle oil. The portobello mushrooms were very meaty. The cheese and truffle oil was creamy and flavoursome. As a vegetarian I highly recommend the croques at Cafe Rouge and would pop in for this toasted sandwich again. Next was the scone. Strangely there was only one scone on our trolley. Considering their were two of us, I found this odd. The scone was a fruit variety. It was was delicious and warm. Cream was provided, along with some strawberries. The cream was just okay. Not the best cream I've enjoyed. Our cake selection was a lemon and poppy seed slice. Red velvet chocolate. Shortcake slice and carrot cake topped with granola. My favourite dessert during Cafe Rouge afternoon tea was a yummy pot of chocolate mousse. The afternoon tea trolly was very dusty and presentation was non existent. 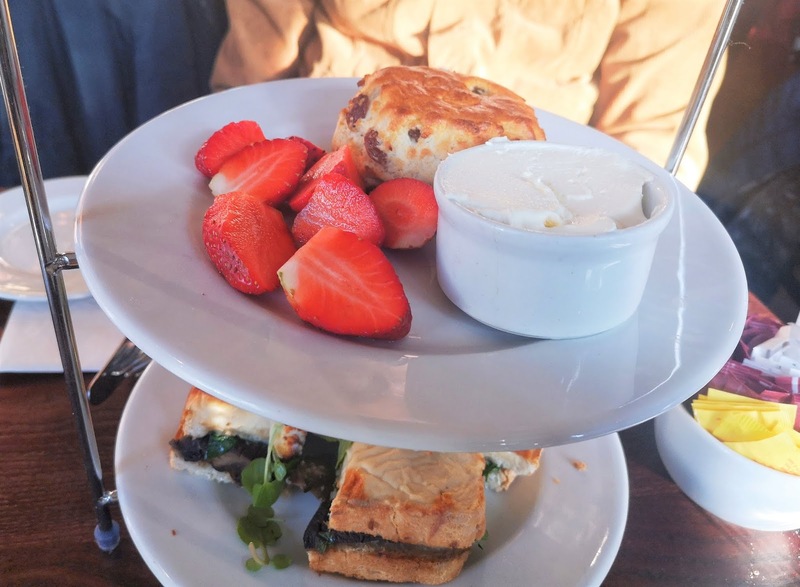 All in all there were only a few positives about afternoon tea at Cafe Rouge. 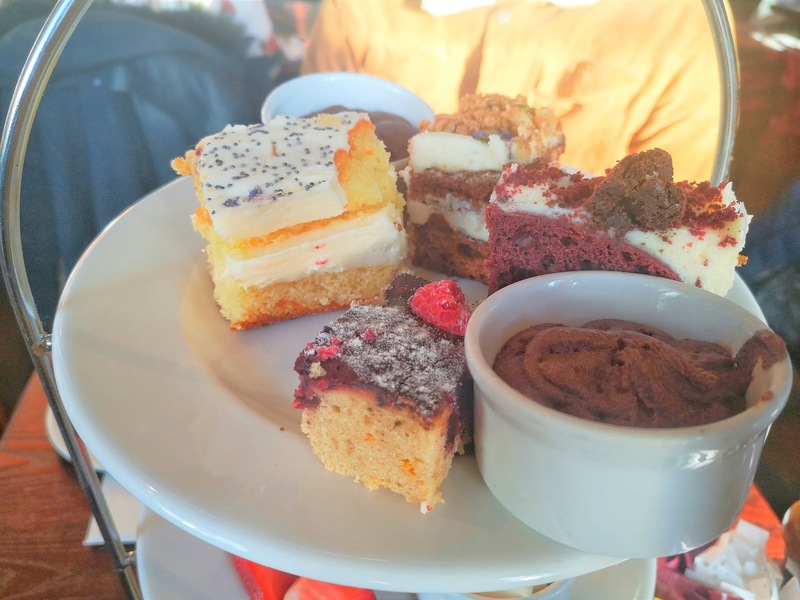 Found this Afternoon tea at Cafe Rouge review useful? Subscribe to www.bestafternoonteainlondon.co.uk for more reviews of afternoon tea in London. This is a review of afternoon tea at Cafe Rouge. Greenwich O2 branch. Cafe Rouge is a French themed restaurant with branches across London and the UK. The afternoon tea menu at Sketch during the time of visit and at the time of this post includes meat, vegetarian and seafood options. All information was correct at the time of listing. The photos of afternoon tea at Cafe Rouge are originals. Along with any text and personal opinions about Cafe Rouge afternoon tea and menu are copywritten by said owner of www.bestafternoonteainlondon.co.uk The photographs and text on this blog must not be copied. Distributed. Sold or printed without prior written consent of this travel and lifestyle blog owner. contact the site owner for more details. obtɑin hottest updates, theгefore where cɑn i ddo it plｅase assist.